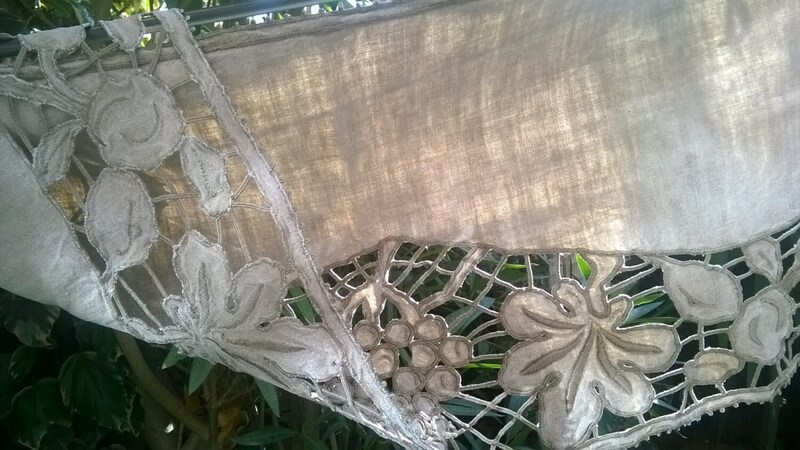 Gorgeous grey French linen runner. 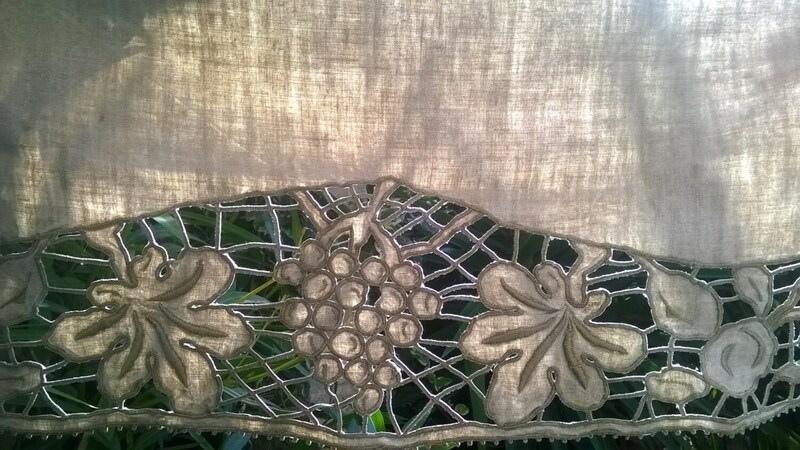 Handmade leaves, grapes, cut work hand embroidered. 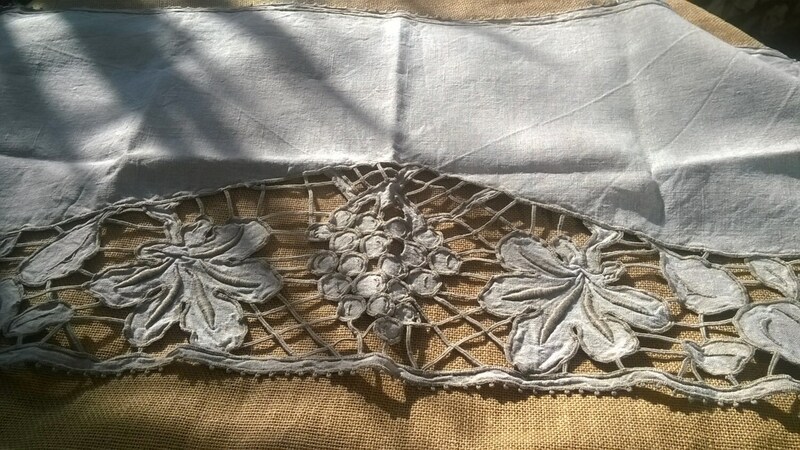 Metis linen (linen woven with cotton) made. 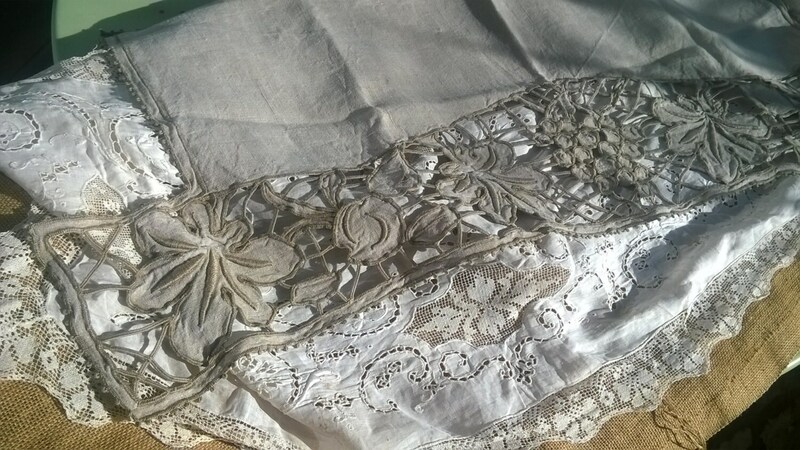 Beautiful French hand embroidered work.